Formula 1’s ‘Race 1000’ or the 1000th World Championship event might not have lived up to its pre-race marketing hype, but it sure did give us several stories to narrate. For starters, Mercedes scored their third 1-2 finish in a row - registering their best start to a season ever. In fact, they failed to achieve this feat even during their seasons of unchallenged dominance from 2014-16. Lewis Hamilton finally aced his race start and managed to overtake Valtteri Bottas for the lead of the race into Turn 1. This is crucial because in Australia and Bahrain, Hamilton actually lost places at the start. 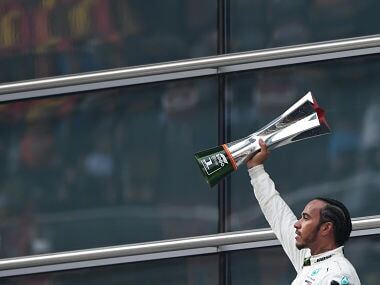 That said, despite his win, classifying the 2019 Chinese Grand Prix as a perfect race weekend for Hamilton wouldn’t be accurate. The Briton struggled through qualifying and was beaten to pole by Bottas. The bigger narrative from the weekend has to be for Ferrari. The Italian team, who have a very clear straight-line speed advantage over the rest of the field, made a mess of yet another race. In Bahrain, the team let go of a highly probable P1-P2 finish (barring Leclerc’s reliability issues) and in China, Ferrari squandered an easy 3-4 finish to eventually finish the race in P3-P5 positions. A large portion of the blame for this not-so-pleasing result could be attributed to flawed strategy. One might not be entirely incorrect in arguing that Ferrari failed to show any strategic approach to the race whatsoever - basically, to have a flawed strategy, you need to have a strategy first. First things first, should Ferrari have used team orders? There have been several moments in history where Ferrari’s use of team orders can be questioned - and in this day and age of social media, fans certainly are the ones who have questioned Ferrari’s not-so-sensible and unfair tactics time and again. In fact, it was refreshing to see Charles Leclerc question Ferrari’s tactics too - in-race and after. In the 2019 Chinese Grand Prix, Ferrari were probably right in trying to see which one of their drivers could close the gap down to the Mercedes cars. Like Mattia Binotto said post-race, the decision to swap drivers wasn’t to favour Sebastian Vettel over Charles Leclerc. It was to see if they could chase the Mercedes cars - because this was their only hope to remaining relevant in the quest for the race win. It was only unfortunate for Leclerc, who claimed track position by overtaking Vettel for 3rd at the start. But let’s hope that Binotto and Ferrari stick to their words - that such a swap could favour Leclerc in the races to come. Also in China, one should remember that a possible swap-back could have been ordered too, since Vettel failed to eat into the gap built by the Mercedes cars. But by then, Verstappen had made his pit-stop and threatened to undercut Vettel for 3rd place. At this moment, Ferrari found themselves defending to retain 3rd place and chose to pit Vettel ahead of Leclerc - a decision that strategically favoured their senior driver (who also had track position after the team ordered the swap). After Vettel’s first round of pit-stops, the race reignited momentarily as Verstappen attacked and made a move on Vettel at the hairpin on the back straight. Vettel was able to regain the lost position by the next corner. However, it was Leclerc who lost 4th place to Verstappen after his first pit-stop. And by then, the chance of a swap-back of positions was lost forever. Once again, Ferrari’s reactive rather than proactive approach in tyre strategy saw them lose out from positions of advantage and the use of team orders comes into more scrutiny and criticism when they don’t work for the team - and in three races yet, they haven’t. 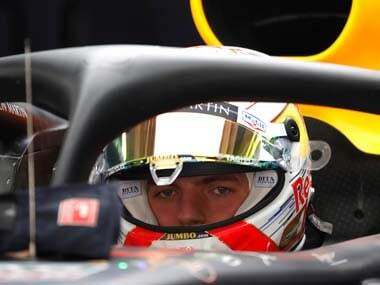 A high drama incident in qualifying was that Verstappen believed Vettel and the other drivers broke an ‘unwritten rule’ to not overtake each other in the last sector of their out-lap - basically, just before drivers pick up pace and manage the gap to start their qualifying hot lap. The truth is that if drivers find themselves needing to a make a choice between not registering a lap altogether or jostling for on-track position, logic would dictate the former. In Q3, four out of the ten drivers (both Red Bulls and Haas) failed to cross the start line in time and before the session ended. Was Lewis Hamilton too slow on his out-lap causing others to bunch up and slow down? Can one imagine the horror if Vettel missed out on his second qualifying lap had Ferrari not asked him to pick up the pace and overtake others? And finally, did Haas and Red Bull err in not informing their drivers early on about them being too close to time out? In the mid-field, Renault and Haas led the proceedings in qualifying. But come Race Day, Haas were found lacking in their race pace for the second race in succession - did they struggle because of the soft-hard strategy they opted for as opposed to the more favoured medium-hard option? Renault would have been pleased to see Daniel Ricciardo finish ‘best of the rest’ in 7th place - a target they both publicly acknowledged pre-race. As for the other Renault driver, Nico Hulkenberg, he suffered a retirement after Renault faced an issue with their MGU-K for the third race in succession. In fact, Ricciardo’s was the only Renault-powered car to finish in the top-10. Interestingly, Renault’s soft-hard strategy worked well for Ricciardo as he maintained position, but it was Hulkenberg who was going backwards after the race start. The stars of the mid-field were Kimi Raikkonen and Alexander Albon. Raikkonen, who missed a possible top-10 start due a power delivery issue in qualifying, pulled off good overtaking moves on the Haas drivers and chased down Racing Point’s Sergio Perez for 8th place in the closing stages of the race. 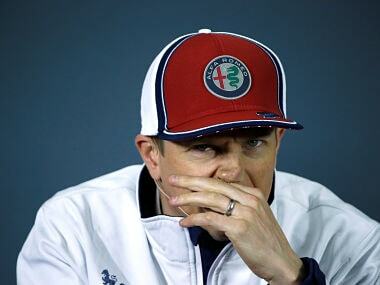 In his role at Alfa Romeo, which Raikkonen claims is ‘a hobby’, the Finnish driver seems more relaxed and ‘racy’; a good change from his wingman avatar at Ferrari. As for Albon, a freak crash in Free Practice 3 meant that the Toro Rosso racer had to sit out of qualifying and start the race from the pit-lane. Albon made the most of the alternative tyre strategy (soft-hard) to fight his way back into the points - his second successive points-scoring finish. Apart from the narrow pace deficit, tyre strategies are further aiding the mid-field battle. Renault and Haas, who made it to Q3 in qualifying, opted for a different strategy than those outside - eventually, drivers on the soft-hard as well as medium-hard ended up scoring points. On the opening lap, the two Mclarens saw themselves entangled in a racing incident with Toro Rosso’s Daniil Kvyat. Kvyat was fast to catch a possible oversteer at the exit of the third corner, but it saw him move slightly into the path of Carlos Sainz Jr. The two touched wheels and that threw Kvyat into Norris’ tyre tracks - a move that saw the Mclaren rookie be airborne at an angle for a few seconds. Upon landing, the team confirmed that Norris’ car had suffered from floor damage. Eventually, Mclaren failed to score with either cars. For his role in the incident, Kvyat was given a drive-through penalty - one that seemed excessively harsh and cost him and Toro Rosso a potential points finish. Does Kvyat’s ‘torpedo’ reputation still precede him? Three races into season, Lewis Hamilton finds himself leading the Drivers’ Championship for the first time this season - 6 points ahead of Bottas. Verstappen’s consistent finishes see him ahead of Vettel (by 2 points), who is further ahead of Leclerc (by 1 point). The 2019 Formula 1 season is (or was?) expected to be a battle between Hamilton and Vettel, but the gap between them is already 31 points - more than one full race win! In the Constructors’ Championship, Mercedes have almost double the points of Ferrari, 130 vs. 73. Red Bull Racing in 3rd, are more than four times the points (52 points) scored by Renault and Alfa Romeo (both with 12 points). Further down, Haas and Mclaren have 8 points each for 6th and 7th place while Racing Point (7 points), Toro Rosso (4 points) and Williams (nil) complete the table. Even though ‘Race 1000’ failed to live up to anyone’s expectations, it was interesting to note that on the television screens in the driver cool down room (one they use after the race and before going up on the podium), only ‘positive’ messages from fans on social media were displayed! 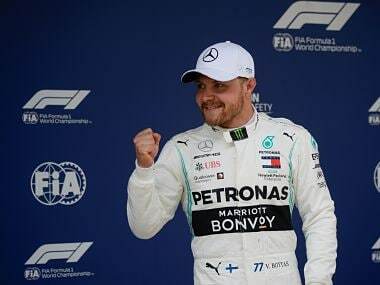 Up next is the 2019 Azerbaijan Grand Prix at the infamous Baku City Circuit - we have seen how this race has thrown up an outlier of results in the past. Given current form, a Ferrari win would certainly be an outlier.